After our visits to the historical sites in Melaka, I brought Joey to Jonker Walk (Jalan Hang Jebat) for lunch. We passed by the bridge overlooking Melaka River. Can you see a restaurant overlooking the river? 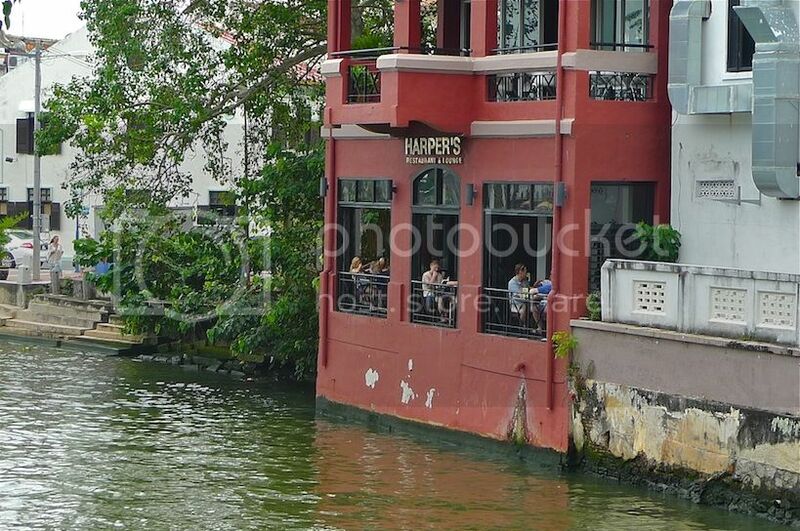 It's Harper's Restaurant and Lounge, popular amongst tourists. I have to admit I have never dined in there before. Perhaps I should try it next time. Walking along Jonker Street, we stopped by the restaurants selling chicken rice balls but did not go in. Reason - I think Melaka chicken rice balls are grossly overrated! So I told Joey I would recommend him to skip it. LOL! 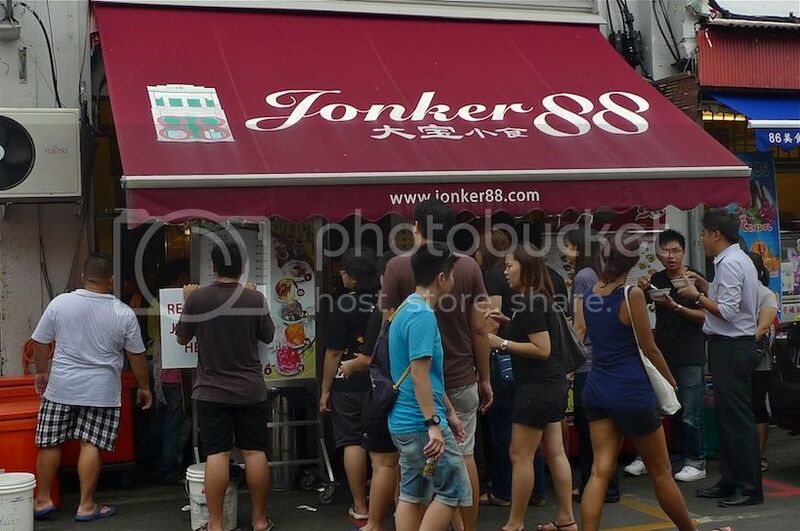 What I really wanted to try was the durian cendol at Jonker 88 restaurant! And perhaps other food there. 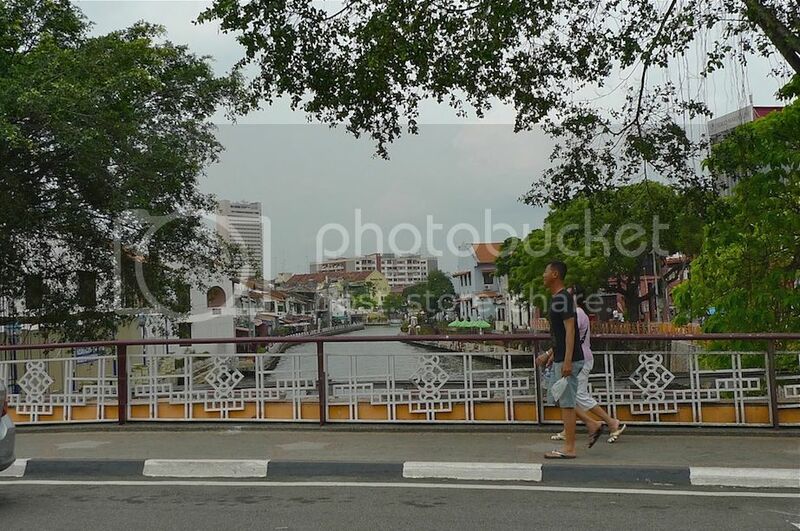 But when we reached Jonker 88, we were horrified to see the huge crowd! I went in to search for empty tables but there was none. In the end, I decided to ta-pao (take-away) the durian cendol. I did not like the way the lady prepared my durian cendol. Let's just say she did not do it with love and sincerity! Well, I guess I should not blame her as they have too many customers already! Joey and I sat down somewhere nearby to eat our durian cendol. 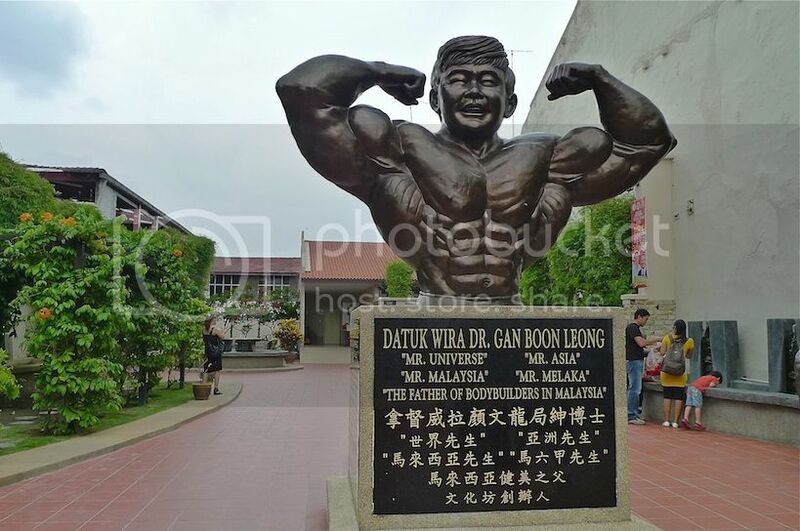 We were in front of this bodybuilding statue. There were less crowd here so it's cool. 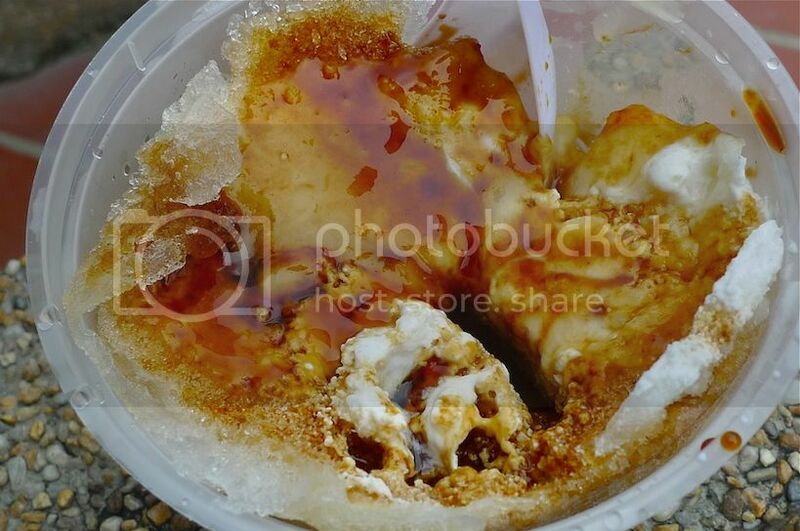 This is how our durian cendol looked like. 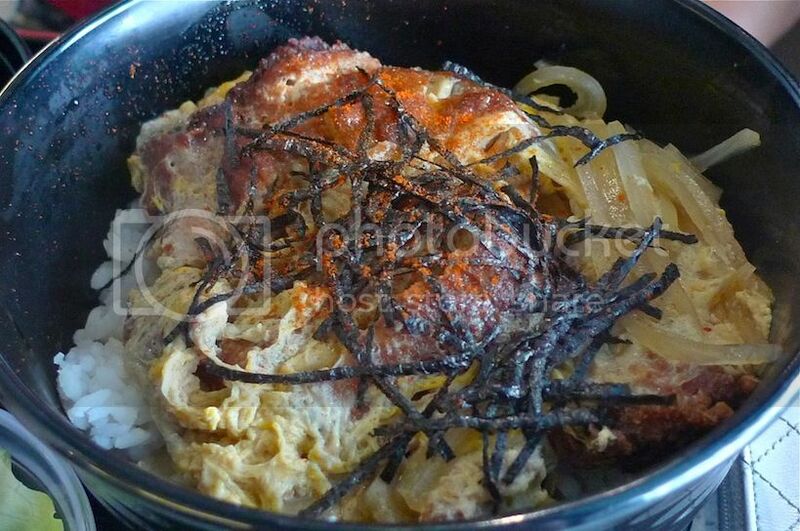 I thought it looked horrible and unappetizing! Taste wise, it was not too bad. But it certainly did not impress me much. Perhaps I was expecting better after reading a lot of good reviews about this durian cendol. 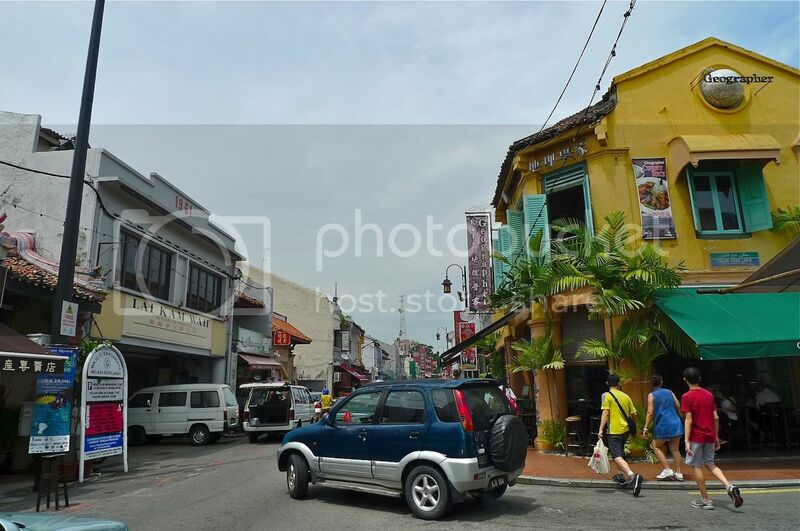 After that, we continued walking along Jonker Street. We walked past this famous Geographer Cafe (yellow colour building) which is a popular eatery amongst Western tourists. We did not go in as I was thinking of bringing Joey to Yung Lai Siang Restaurant at Jalan Bunga Raya Pantai for its famous curry mee. However, as it turned out, we ended up eating our lunch at Nadeje in Plaza Mahkota. 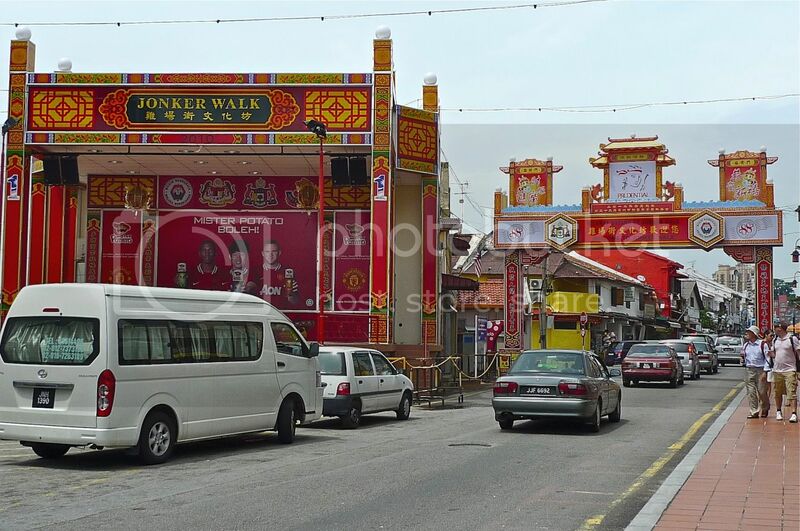 But first, a few more photos of Jonker Walk. There is this stage (on the left side of the picture above) where you can see performances during the night. 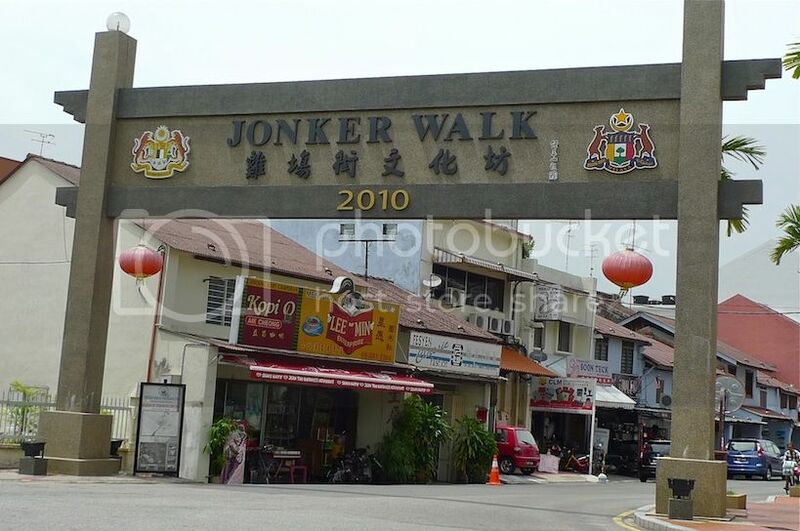 Yes, Jonker Walk is more happening during the night especially during the weekends, but I guess we did not have a chance to experience that! 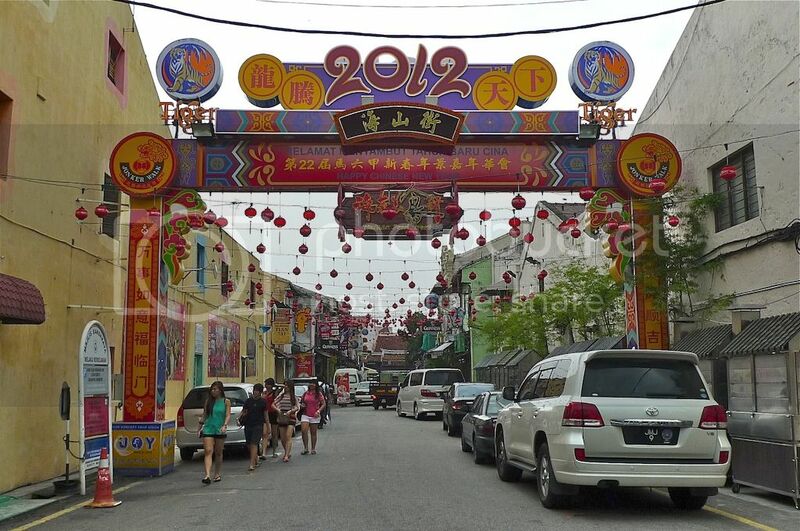 This is the arch at one end of Jonker Walk. 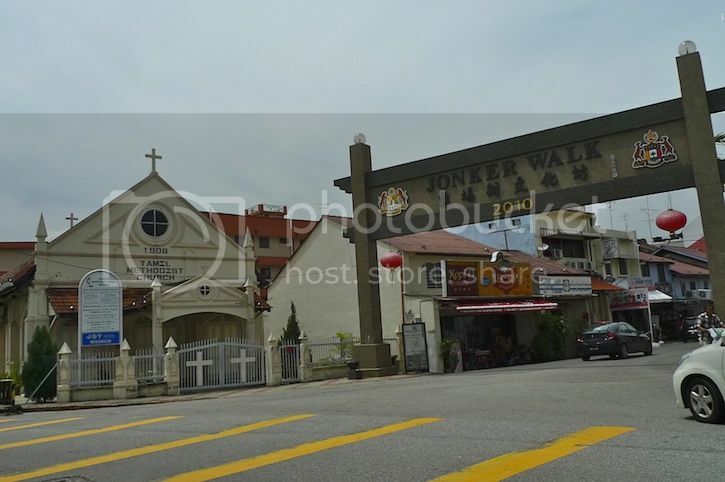 There is a Tamil Methodist Church next to the arch. 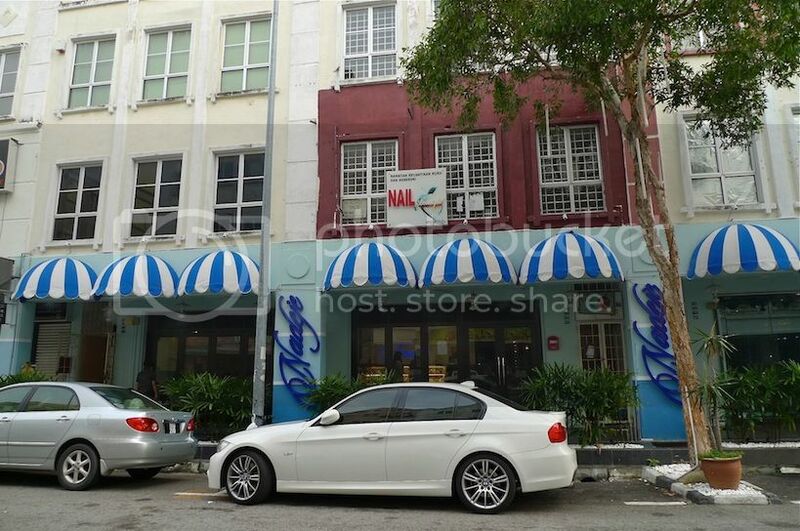 After that we backtracked and walk along this alley to reach my car which was parked along Jalan Tun Tan Cheng Lock which is a road parallel to Jonker Street. I drove over to Plaza Mahkota to have our lunch at Nadeje. 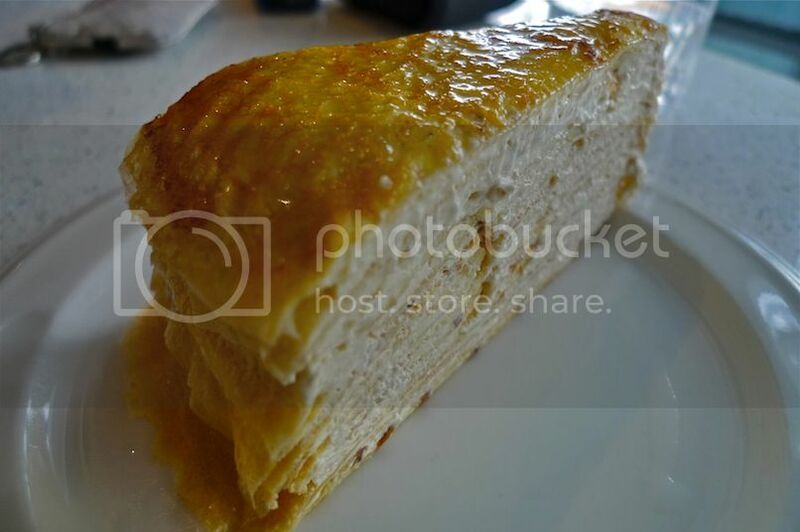 Nadeje is famous for its Mille crepe cakes, so I ordered a piece of rum raisin crepe cake for Joey. I was no longer very fond of crepe cakes, so I did not eat it. I hope Joey enjoyed it! Instead I ordered this for my lunch. I could not even remember the name! 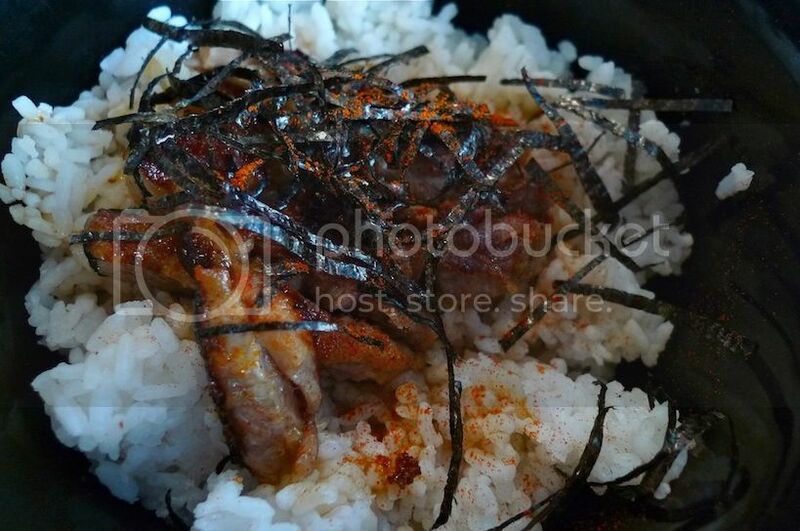 I think it's chicken teriyaki don if I'm not mistaken. It came in a set with a small serving of salad and a bowl of miso soup. 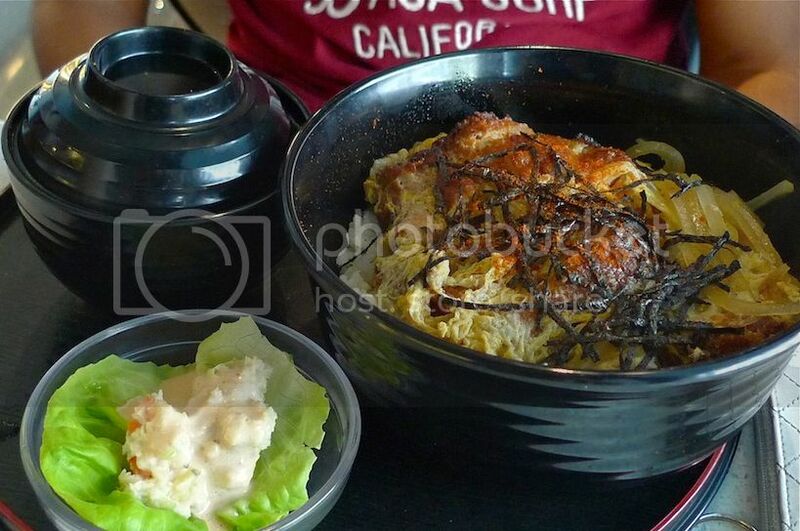 Joey ordered the Katsu don chicken set. I thought the price was quite reasonable. My chicken teriyaki don set costs RM7.80, Joey's Katsu don chicken set costs RM8.80 and the piece of Mille crepe cake is RM9.00. 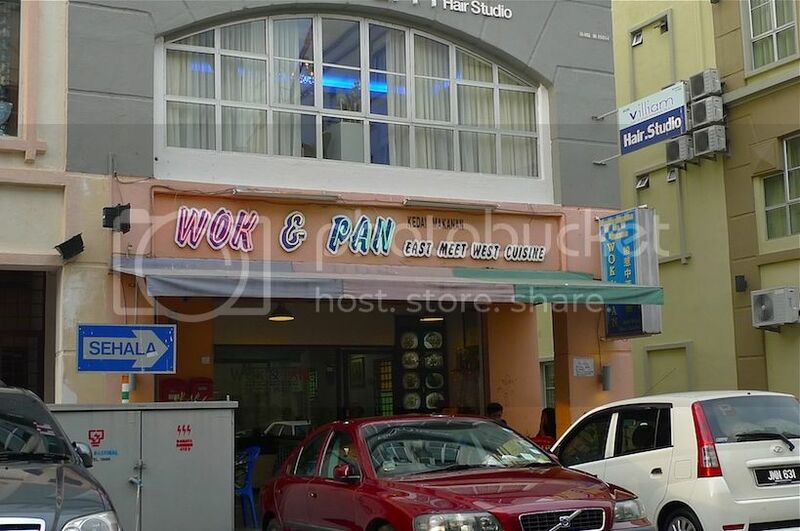 There is a restaurant opposite Nadeje called Wok & Pan which was recommended to me by a friend, but we were too full to dine there. Perhaps I will give it a try next time. We spent quite some time in Nadeje. After that, I brought Joey to buy the famous putu piring at Jalan Tengkera. 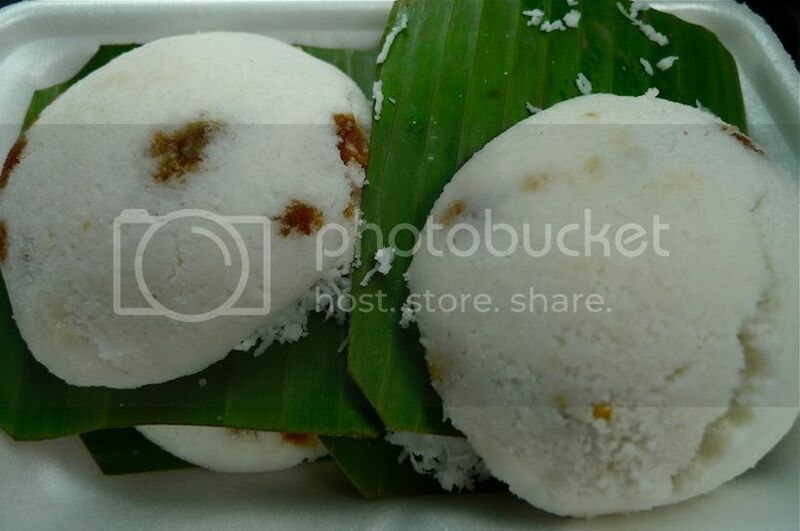 Read my post about this famous putu piring stall in Melaka HERE. I have to say this stall sells one of the best putu pirings in Malaysia. I won't dare to say it is the best, but it definitely is one of the best. At 90 sen per piece, it was slightly on the expensive side but if you like it, then it is still worth buying. 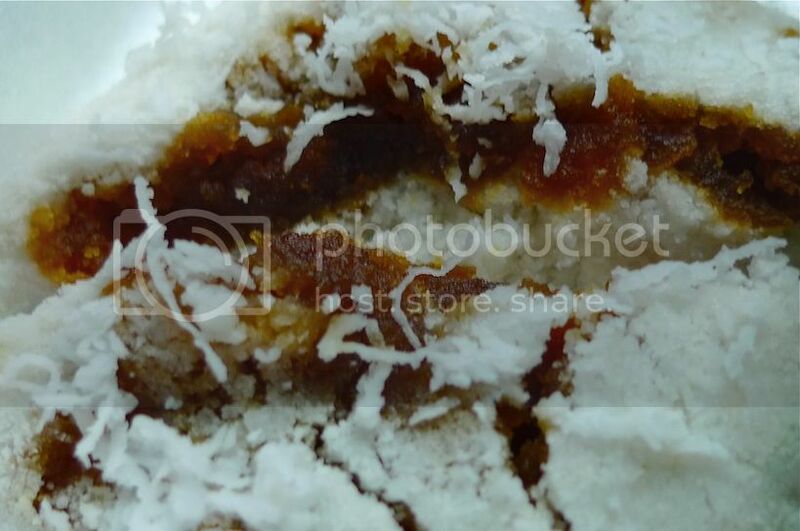 I just love the hot gula melaka (palm sugar) oozing out of the putu piring. Yum!! I hope Joey like it too. I would be meeting up with a Twitter friend (for the first time) over a satay celup dinner later that night. Of course, I would be bringing Joey along. But it was still about 2 hours away from dinner time. So, where did we go in the meantime? Find out in my next post coming right up!